People willing to migrate to Malaysia through must work permits from the Malaysian employer. The employer must sponsor foreign national to get the visa. Malaysia Immigration warns individuals not to work without any work permits for any employer. Who do not have work permits must have social passes to enter Malaysia and start working after work permit is issued. The dependents of principal applicants must apply for the work permits independently. In case if they are willing to cooperate in Malaysia. Major requirements to apply for the Malaysia work permit. 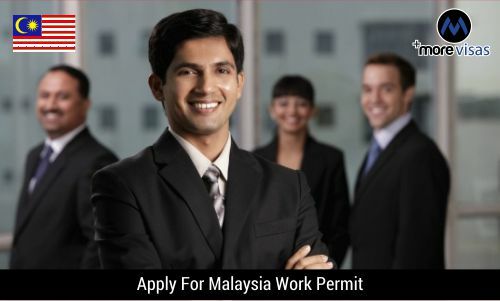 To get the Malaysian work permit, an applicant must have a valid passport with 18 months of the validity period. Foreign nationals applying for the work permits must be 27 and above, except in IT sector, the age requirement is 23. Permits are granted for period between six months and five years. Work Passes are issued based on the requirement of jobs and skills and work permits to which the employs are eligible. Employment Pass: This pass is usually issued to the people holding technical or managerial jobs, where the work permit duration is two years. Temporary Employment Pass: Issued for jobs with less than two years of work permits, with salary less than RM 5000 every month. Professional Visit Pass: These passes are issued for foreign nationals working in the home country but Malaysian firm requiring services from the employee for six months.